These days, with such an abundance of information streaming through television or throughout cyberspace; it’s hard to know exactly where to start one’s education when it comes to all things meta-physical. Many people express a true desire to know more about their psychic heritage and yet with all the information available, it seems that a straight-forward explanation of our connectedness, always gets lost amidst a sea of linear minded, somewhat confused human ideas. Earth is conscious. Earth feels the urge to grow and evolve just as humans do because Earth is part of the creation of Eternity. There is no separation between Earth, the heavenly skies or all of the creatures and beings existent on and within Earth’s planetary shelf. Beneath Earth’s physical structure exists Earth’s invisible energetic structure (consciousness). Beneath our physical structures lie our invisible energy fields or our consciousness as well. It is all the same energy, rearranged into varying patterns of ‘consciousness’. The only thing missing from the equation of the Universe is Humanity’s true understanding of what cannot be visually seen by the human eye. All aspects of life as we know it has consciousness. All of life has capacity to absorb, emit, think, evolve and feel. Each part of life that appears physical to the human eye has a non-physical part that connects it to all that exists. Each tree, each blade of grass, each insect and each animal has a dream to evolve and change. The only thing missing is Humanity’s complete understanding of this. Your soul is invisible and yet it exists. All other beings also have an invisible essence that drives their physical counterpart into motion in this physical world. All human souls are energetically driven to think, feel and act. So too are all co-existing creatures. What energetic thought or emotional patterns the soul force moves upon is what determines how a soul functions in the physical world. When human souls do not consciously understand their own internal thought patterns, they create dis-harmonious conditions on planet Earth though their outward BEHAVIOR toward one another. 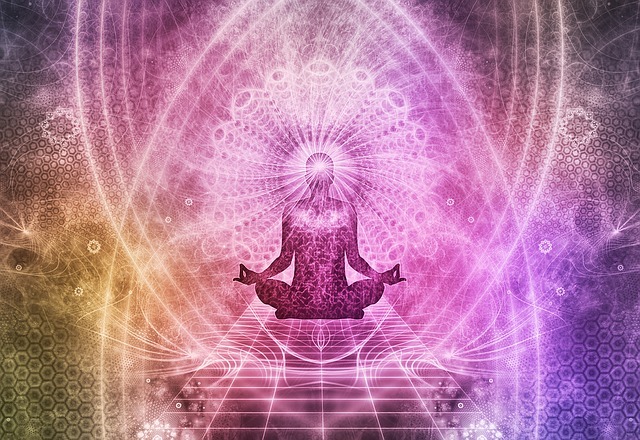 Each of you evolves according to your own unique energetic configurations and yet each of you influences one another in your evolutional journey as a whole or mass consciousness. Therefore, when groupings of humans awaken or come to a level of greater awareness, the energy of such groups affects the whole at an accelerated rate. Human awakening comes from within but most often is sparked by what appears to be outer events. Humanity is not only probed to awaken by it’s humans members. It is probed to awaken by all of the creatures that surround humanity who already carry an awareness of their connectedness to the whole environment. This includes Earth’s ability to change and shift human consciousness when it feels it needs to cleanse itself of stagnant human thought form that holds dis-harmonious energies. The Physical you is a denser representation of the energetic soul-impulsed you. All of your organs and your entire physical makeup is created of the invisible and less dense energy patterns that underlie your physical forms. Hence, all humans beings are psychically connected because they are energetically connected. As humans begin to shed the denser energetic barriers that hold them perceptually separate from that which is around them, so too do they become more sensitive to these underlying energies. Sensitivity to these unseen energies is the beginning of understanding one’s innate and divine psychic gifting and heritage. When humans create without awareness and from disconnected perspectives they destroy other forms of consciousness without remorse or thought. The physical world is shaped by mass human thoughts that enable humans to endeavor building physical creations ‘without consideration’ as to whether these creations serve the whole planet or serve only humans. When ANYTHING is created without consideration of the whole good – that creation’s foundation is doomed to break apart for it shall be founded on a perception of separation. When human beings begin to create with ‘Unity Consciousness’, whole societies can evolve on Earth’s surface in a harmonious and non-destructive way. As each of you wakens each day, your soul is impulsed to create. What you create and how you create affects the entire creation as a whole. If humans continue to choose to create with only ‘human self’ in mind, they will find that they co-create destruction for themselves again and again, for ‘self interest creating’ within a Unified Energetic World Structure does not net harmonious experiences. Each human soul must first ask of itself what it’s purpose is. If this question is never asked, then such souls simply function on a level whereas the consciousness is driven by that which surrounds it only. Whatever training each soul has received is then acted out behaviorally, according to such trainings, without question. This is not considered ‘conscious co-creation’. It is simply one form or type of human existence. When a soul can ascertain from within what it desires to experience and then behaviorally seeks to achieve this in the physical world, creating as it goes, a path of unified or harmonious behavior toward all that surrounds it, this begins the path toward true soul activation and global co-creatorship. If in the seeking of such goals, a soul uses behaviors of separation; greed, theft, lies, betrayal etc., then such souls though creators, do not understand the Universal principle of Unity from which everything is birthed or created. Such souls then create chaos and havoc that each of you witnesses in your world. If other souls seek their dreams with behavioral actions that signify unity consciousness, then such are true masters and co-creators of not just the world, but of the Universe and they function in alignment with the natural order of the Universe. It is the mix of some humans behaving with only self in mind and other humans that function with Unity Consciousness that confuses everyone about why we cannot seem to evolve out of our negative behaviors. Evolvement must come from within each soul. When a soul internally evolves in consciousness, it’s outer actions are more fully in alignment with the Universal energies of ‘All That Is’. Human evolvement by design is a very slow, unseen energetic process. As more and more of us begin to see our ‘energy connectedness’ to everything around us, we will begin to ‘create’ things with more wisdom and consideration of all living things that surround us. Hence, we will begin to collectively manifest a much more peaceful world.